An artist's rendering of a proposed stadium at McKalla Place near the Domain. 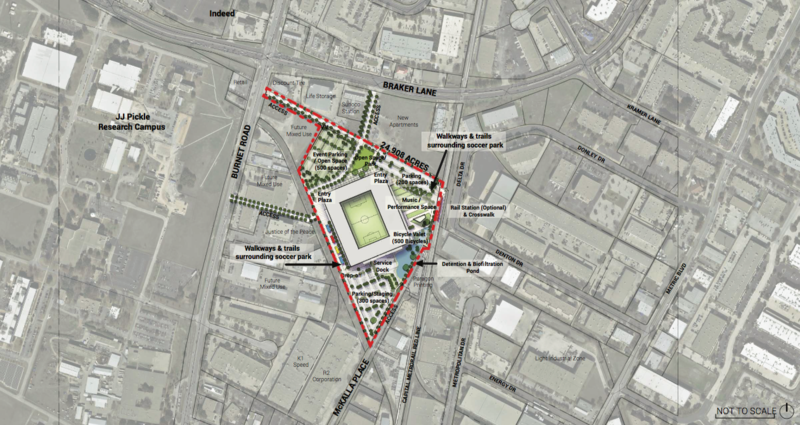 The report suggests that if the owners of the Columbus Crew want to relocate from Ohio, they will need to invest their own money in upgrading the infrastructure on the city-owned lot. The report says utility upgrades alone could cost up to $30 million. 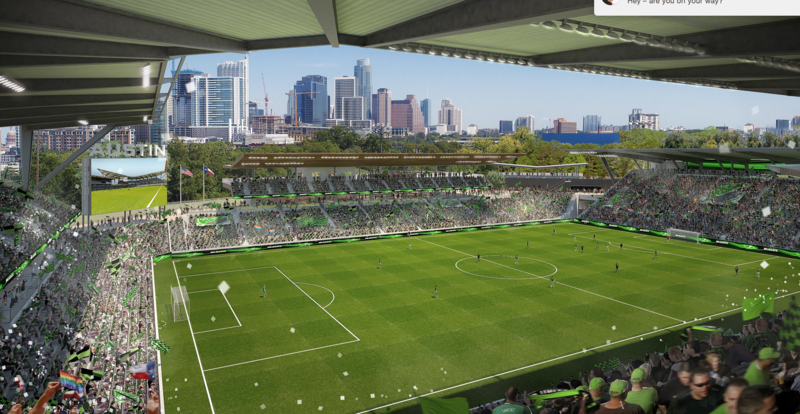 Anthony Precourt and Precourt Sports Ventures say they will pay for construction of a 20,000-seat stadium and maintain the North Austin site while the team plays there. Austin Mayor Steve Adler told KUT earlier this week that investment from the team is critical for him to support the move. “It was important for me that we not use any public money to help build the stadium, which happens, to my understanding, in most places where they bring a Major League Soccer team,” he said. The report estimates an economic benefit of $54 million a year for the city during construction and $26 million once the stadium is built. The team released its own report today with proposed benefits to the city, including almost $5 million donated to the nonprofit Foundation Communities over 25 years. Half a million of that would be upfront to help build an affordable housing project near the stadium site. The Greater Austin Chamber announced its support for the plan, commending Precourt's "commitment to partnering with Austin on affordability." 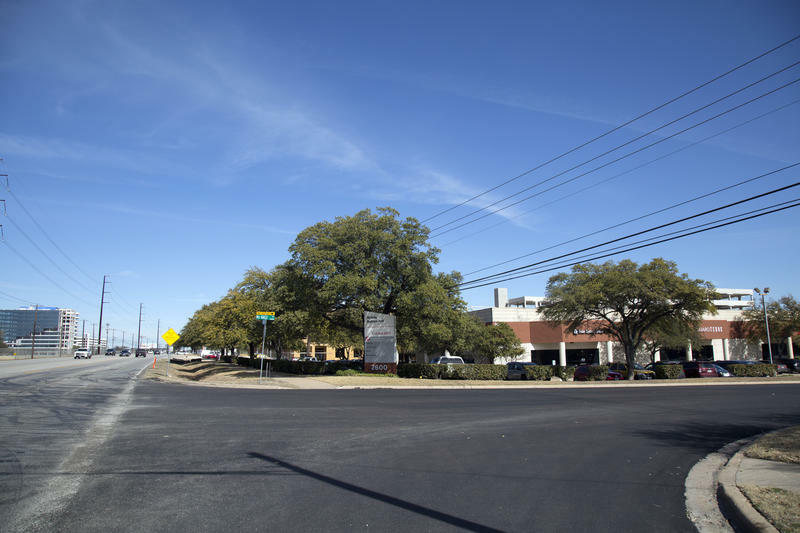 "We hope Austin City Council will act this month to close this game-changing partnership," Phil Wilson, the chairman of its board, said.